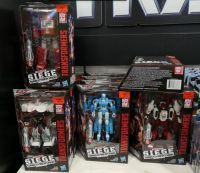 Siege Deluxes Prowl, Chromia, Ironhide and Autobot Sixgun are now available at Malaysian retail, thanks to TFW2005 member keithone reporting wave 2’s arrival to the Bangsar Village Toys R Us location. Good hunting to all and remember to share your retail sightings on the 2005 boards! 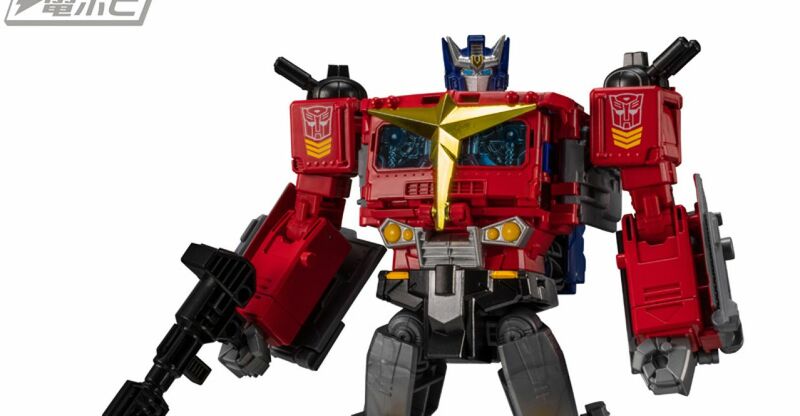 Pre-orders should be up soon, and we should expect no discernible difference compared to their Hasbro counterparts. Click on the bar and let us know your impressions on the 2005 Boards! 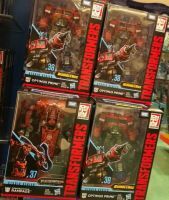 Siege sightings are plentiful, with TFW2005 member fla_Omega_Supreme scoring Wave 2 Micromaster duos Red Heat & Stakeout (Rescue Patrol) and Laserbeak & Ravage (Soundwave Spy Patrol) at an Oak Ridge, TN Walmart location. Share your sightings recon on these 2005 boards! Courtesy of Robotkingdom, ジョニー尻山 on Twitter and 2005 Boards members Jtprime17, kentan99, jamarmiller, payres we can share a great set of in-hand images of the latest installment in the Takara Tomy Transformers LG-EX Line: Big Powered. We have shots of Dai Atlas, Sonic Bomber and Road Fire in all their modes, including battle stations and combined as the Big Powered space ship. Some interesting details are revealed too. 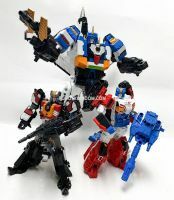 For example, Dai Atlas is a heavy retool of the Titans Return Overlord/Sky Shadow mold but the torso and legs can’t not be separated due to a new connecting bar. Also because of the mold changes, Dai Atlas’ legs are kind of hollow, but you can fill the space with some Minicons. Finally, the new Big Powered Super Mode (adding Titans Return Topspin and Twin Twist to the combination), as seen in the pack-in manga, can be recreated with the toys. All the necessary connectors are there, and you get an impressive and enormous battle ship! Click on the bar to see the mirrored images on this news post and then sound off on the 2005 Boards! Check our sponsors below to order Big Powered! 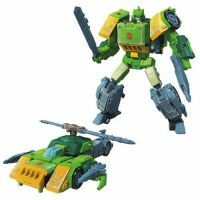 Friend site Cybertron.ca reports that War For Cybertron: Siege Voyager Wave 2 has been released in Canada. 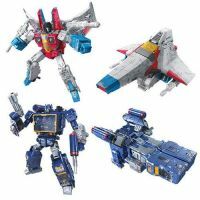 Siege Soundwave and Starscream were found at EB Games by Cybertron.ca members ohnaji and Matrix_Holder. Courtesy of our very own Gamerlingual, we can share for you images of the Takara Tomy LG-EX Big Powered Pack-In Comic/Manga & Bio Pics. This 6-page issue continues the story presented in the LG-EX web-comics 4 and 5. The final confrontation of all heroes from the Transformers multiverse against the unstoppable villain: Star Giant, the final form of the Dark Nova entity combined with Megatron. During the final battle, we can spot Big Powered (the combination of Dai Atlas, Sonic Bonber and Roadfire) in a new super mode adding Titans Return Twin Twist and Topspin to the already impressive space ship. Check out the mirrored images, as well as the Bio Pics of Dai Atlas, Sonic Bonber and Roadfire, after the jump.